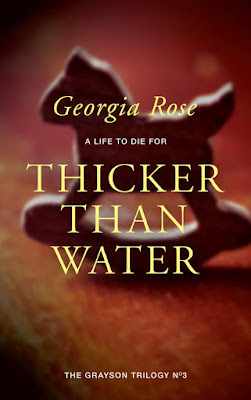 Thicker Than Water (TtW) is the third and climatic part of Georgia Rose's popular Grayson Trilogy. For those of you who've been on another planet for the past two years, you'll have missed the first two instalments, (both recently released as second editions). I was fortunate enough to be offered a review copy of TtW. I thought I would be one of the first people to read this much anticipated novel, but as it turned out, I was proper down the list - for a very good reason. When I read a book, I always read the acknowledgements first. Many pass those by in favour of getting stuck into the story, but in some cases, the "accies" and the information a reader discovers therein can improve the reading experience. Georgia's notes here are no exception, for one simple reason. In her introductory text, you discover that during the production of the novel, Georgia employed a battery of betas and proofreaders - more than any Indie author I've come across - to make sure that this third segment of an enjoyable series is as close to perfection as possible! She's invested in this book. It's not something she threw together over a weekend while getting through a bottle of Prosecco, two packets of fags and a large pepperoni pizza. Just look at the richness of this cover - the deep copper tones, the elegiac mysteries hinted at, the comforting familiarity with the material, cleverly represented by a child's toy rocking horse. Regular readers will know what that means. New readers have the joy of discovery to come. First thing you notice about the book itself is how well formatted it is, so this attention to detail is an investment that pays off. It's flawless - a reader can find themselves fully absorbed in the world of Emma Grayson and co without any jarring shocks. Second thing you notice is how well written the novel is. 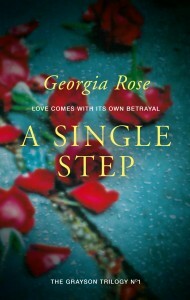 It's wonderful to watch an author develop in confidence and style in the way Georgia has since the publication of the popular A Single Step. Metaphorically speaking, she's been to Author Slimming World and taken the pledge. There is an economy to the prose, a clarity and a no-nonsense strategy that is only hinted at in the first book. This calorie controlled lexicography ensures the reader is able to spoil themselves with just one more page before bedtime. That makes for a fast read; I consumed TtW in two sittings. A shortish book helps, which this is. 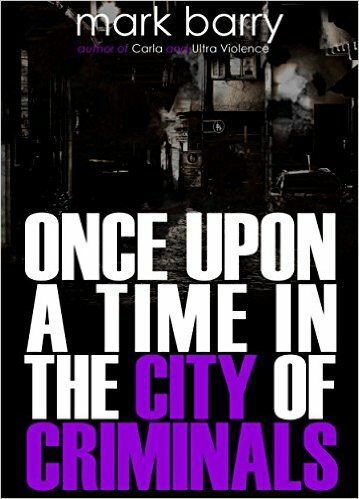 In a frenetic marketplace where a new novel appears every eighteen seconds, no-one has time for epics. TtW starts fast, speeds up and only relents in the last third, when it needs to. 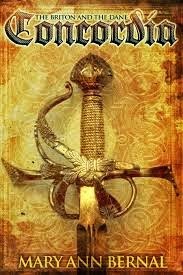 Avid readers of Georgia''s tale will already be familiar with the characters, the settings and the plot. It is possible to read this third segment without reading the others, but, as with any trilogy, starting at the beginning is always the best policy. Here's a potted history. Emma Grayson, heartbroken, bereft and hardened by tragedy, is enticed into applying for a job in the stables of an opulent country manor somewhere in the English shires. 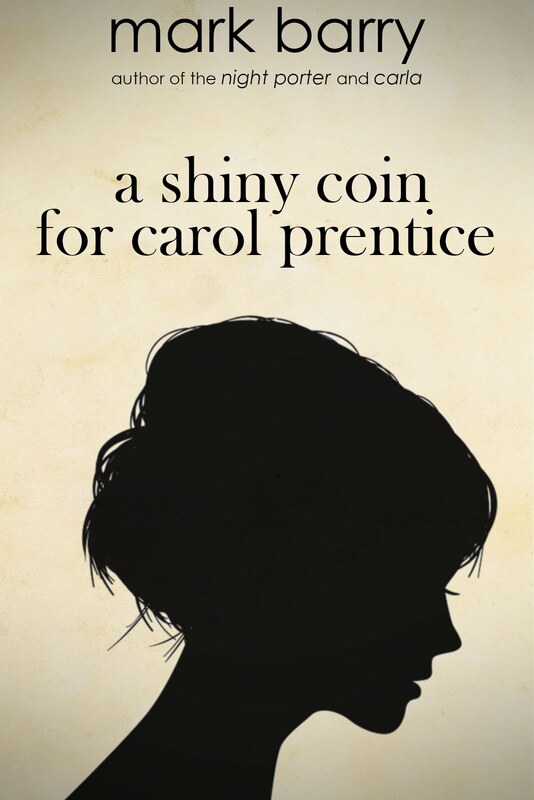 There, she meets Cavendish, the mysterious aristocrat; Carlton, the handsome (and impish) groom who takes a shine to her; the boorish slob Gary who makes a nuisance of himself and, of course, the brooding, unhinged, aloof, almost Heathcliffian Trent, her boss, himself a victim of unfortunate circumstance. Despite her best intentions, she finds herself becoming entangled, and as she does so, Emma soon realises that the manor is a cover, a front, and that it's inhabitants are not at all what they seem. And its taken three novels for the rascally Georgia to show that Emma may not be entirely what she seems either. The Grayson series is all about the characters. The plot is incidental to the relationships Emma develops, which come to the boil in this third segment, so if you are a reader who enjoys a bit of psychology with their romance - and TtW is the most realistically romantic of all the sections - you will enjoy this. Interestingly, Georgia ditches almost any element of thriller. Before The Dawn, the second in the series, is a thriller, pure and simple. Georgia returns to her roots in TtW and by comparison to the explosive events of the second book, the outcome is contemplative, almost sedate. I can't see the point of written thrillers in an age of CGI - how would Mission Impossible: Rogue Nation be improved on the printed page? Relationships between people, by virtue of progressive revelation and frequent internal monologues, is the province of the novel and has been since Austen, Thackeray and Trollope. I'm delighted that Georgia has left those dramatic elements to the film boys. 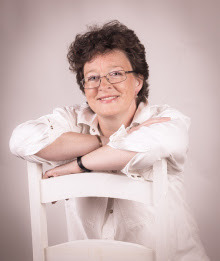 Georgia, unlike many romance authors, has developed a male readership, perhaps because of this emphasis on psychology and interaction; possibly because of the unfussy way she writes. They won't be disappointed here - in fact there are elements toward the middle of the book that called to mind Len Deighton, possibly deliberately. Naturally, I strongly recommend the book and I will be buying the paperback. There is an added bonus at the end - a nice touch - which Georgia's long term readers will appreciate. In fact, they will love it.Look at those covers! Can you imagine how beautiful those three paperbacks will look stacked on your bookshelf, or spread on the coffee table? This series is so worthwhile I would pre-order this today and then pick up the first two instalments before you read it. You won't be disappointed. You will not be charged until September 18th - so order today! Great review, Mark. I’m so looking forward to this book. It's a tremendous boost to read something like this Cathy, thanks and I hope you enjoy it when you get to it. I really like the cover of the book. I'm sure the interview with Georgia next week will be an interesting one.